Aging is a natural process, you can't stop this but can slow down this process by using proper regimen or techniques. 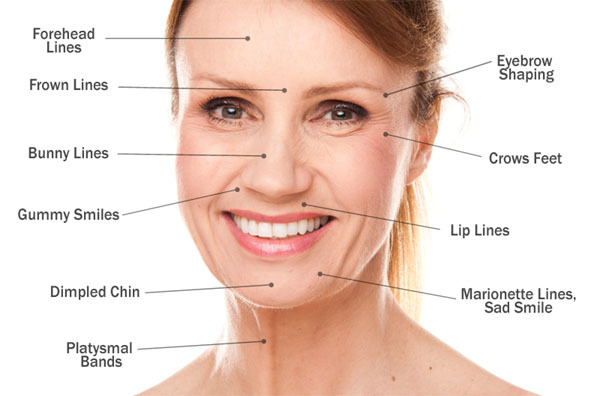 Fine lines, wrinkles, loss of elasticity and sagging skin are some common signs of aging. 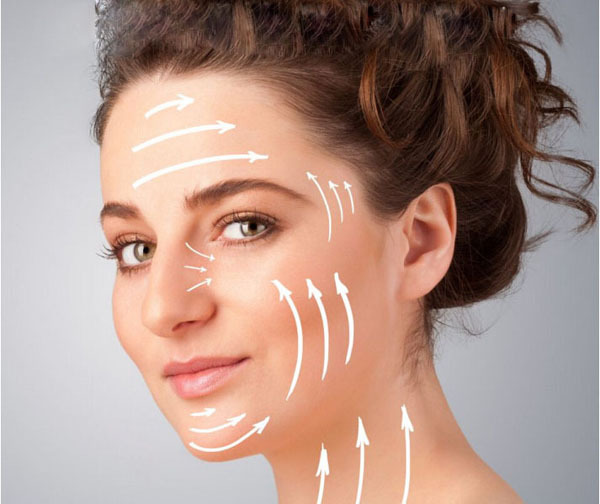 However, various kinds of skin tightening and face lifting products are available in market but often very expensive even sometimes really unaffordable. However you can get the same benefits from natural homemade face masks which are less expensive and proved excellent to tighten your skin as well as lifting your face. Egg white is best known for skin tightening and face lifting. To make an egg white skin tightening face mask, take 1 egg white and 1 tablespoon of lemon juice. Mix them well and apply the even paste on your face and neck. After 20-30 minutes remove with damp cotton cloth and then rinse off with lukewarm water. Finally splash your face with rose water to remove the egg odour. Take 1 tablespoon of lemon juice, 1 beaten egg white and 1 tablespoon of cornstarch. Mix them well and apply this smooth paste on your face and neck. After 20-30 minutes remove the mask with damp cotton cloth and then rinse off with lukewarm water and then with splash of cold water to close skin pores. Take 1 Egg white and pulp of 1 peach. Mix them well and apply the even paste on your face and neck. After 20-30 minutes remove this mask with damp cotton cloth and then rinse off with lukewarm water and finally splash with cold water. Take 1 egg white, 1 tablespoon of honey, 1 teaspoon of extra virgin olive oil and 1 teaspoon of milk powder.Mix them well and apply the even paste on your face and neck. After 20-30 minutes remove the ask with damp cotton cloth and then rinse off with lukewarm water and splash with cold water. Take 3 capsules of Vitamin E. Prick them and drain out the liquid into small bowl. Add half teaspoon of yogurt, half teaspoon of honey and half teaspoon of lemon. Mix them well and then apply on your face and neck. After 20-30 minutes rinse off with lukewarm water and splash with cold water. Take 1 tablespoon of sandalwood powder and 1 tablespoon of pure rose water. Mix them well and then apply on your face and neck. After 15-20 minutes rinse off with fresh water. In addition, try to apply some rose water on your face and neck before going to bed. This will help a lot in tightening of skin pores and prevent premature aging signs. A face mask prepared by mixing Tomato, lemon juice and honey is considered very effective in skin tightening and face lifting. Take 1 tablespoon of mashed tomato, 1 tablespoon of lemon juice and 1 teaspoon of honey. Mix them well and then apply on your face and neck for 15-20 minutes and then rinse off with lukewarm water and splash with cold water. Aloe Vera gel is also considered very effective in firming and tightening loose and saggy skin. You can make a skin tightening mask by mixing together one tablespoon of aloe vera gel and one teaspoon mayonnaise and one teaspoon of honey. Apply this on your clean face and neck and leave it on for 15 minutes. Finally rinse it off with lukewarm water and then splash some cold water to close skin pores. Apply this mask at least once a week. Cucumber is an excellent natural skin toner and helps a lot to tighten loose and saggy skin. Cucumber face mask along with egg white and Vitamin E oil is highly beneficial for skin tightening and face lifting. Take two tablespoons of fresh cucumber juice, one egg white and 4-5 drops of vitamin E oil. Mix all the ingredients and apply this mask on your clean face and neck. Let it stay for 15 minutes and then wash it off with cool water. For best results, apply this mask twice a week. Papaya contain useful enzymes like papain, which helps to tighten sagging skin and in turn helps in face lifting. Take 3 tablespoons of fresh pulp of papaya (papeeta), 2 tablespoons of plain yogurt, 2 tablespoons of lemon, 1 tablespoon of honey and 1 egg white. Mix all the ingredients to make a thick paste. Now apply this paste on your face and neck for 20-30 minutes then rinse off with lukewarm water and finally splash with cold water to close skin pores. (i) First of all, before applying any facial mask clean your face and neck with fresh water and remove all cosmetics, creams, lotions even everything.Before applying any facial mask first take a small Patch Test on little area of your skin and wait for 10 to 15 minutes if it creates itching or allergic effect then immediately remove it from skin and avoid this mask. (ii) You shouldn't leave a facial mask on any longer than instructed. After recommended time period immediately remove it from your face. (iii) It is best to use a homemade facial mask immediately after you prepare it. However, if you have extra, you can keep most of these facial masks in the refrigerator for up to a week. But for best results always use freshly prepared facial mask. (iv) To avoid photo-aging, before going out in sun, Use a strong SPF 15 or 30 sunscreen for protection from the sun’s harmful ultraviolet rays. Avoid exposure to the sun for prolonged periods. (v) Try to eat more foods rich in Vitamin C and E because both of these vitamins are very important for firm, glowing and youthful skin. (vi) Whenever you apply any skin moisturizing oil, cream or lotion use circular and upward strokes on your face and neck and never use downward strokes that can cause saggy skin. (vii) Quit smoking and avoid your alcohol intake; cigarette smoking and alcohol speed up the aging process and causes the formation of premature skin wrinkles and fine lines.